This volume attempts to come to terms with the myriad changes facing American society as the century draws to a close. 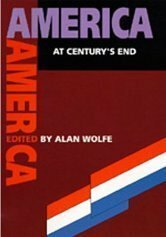 In his concluding essay, Wolfe sums up the standpoint of the contributors by arguing that America has become "decentered." No longer are standard institutional models adequate for describing what constitutes a "normal" life. This book provides information about each article and amendment to the Constitution in a way that the reader understands the requirements in relation to issues of the day. Examples of decisions are provided in relation to the article being discussed. This style guide is an introductory wiki-book for beginners who want to produce political messages in various media formats. It is not a rule book; rather, it is a set of guidelines to facilitate effective political communication.